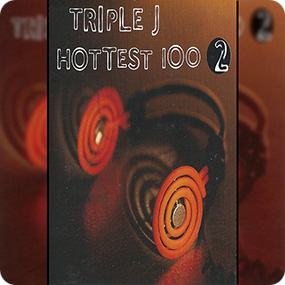 The 1994 Hottest 100 was the second annual Hottest 100 countdown since the change of the format which allowed only songs from the previous year to be voted for. The countdown took place in January of 1995 and featured a mixture of 85 different artists, currently the second highest amount of artists in a countdown to date. The Offspring became the first band to achieve 2 tracks in the top 5. This was later also done by Powderfinger in 2000, Gorillaz in 2005 and Kings Of Leon and MGMT in 2008. However, The Offspring's effort is notable as being the highest ranking pair of consecutive entries. The Cranberries become the second artist to achieve the #1 position with no other songs in the countdown. Other artists to achieve this feat are Denis Leary in 1993, Spiderbait in 1996, Augie March in 2006, and The Rubens in 2015. Until the 2010 countdown, 'Zombie', by The Cranberries was the only song to reach the top position and feature female vocals. Angus & Julia Stone broke the 16 year streak in 2010 with 'Big Jet Plane'. At #13, Bomb The Bass charted with the song 'Bug Powder Dust'. Bomb The Bass was first featured in the 1989 and 1990 All Time countdowns with Neneh Cherry's song 'Buffalo Stance', which he helped to produce, and was referenced by name. Neneh Cherry also featured in the 1994 countdown, reaching #26 with '7 Seconds', her collaboration with Youssou N'Dour. 'Bug Powder Dust' also features vocals from Justin Warfield, whose lyrics feature numerous references to pop-culture. Examples of this are his reference to "Mr. Mojo Risin'", best known as the alias and anagram of Jim Morrison, lead singer of The Doors. The phrase 'Mr. Mojo Risin'' was also used as the refrain for the song 'L.A. Woman' which rached #40, #62, & #78 in the 1989, 1990, and 1991 All Time countdowns, respectively. Likewise, "'Houses Of The Holy' like Jimmy Page, but the song remains the same so I'm stuck in a rage" references Jimmy Page, best known as the lead guitarist for Led Zeppelin. 'Houses Of The Holy' is the name of a 1973 album by Led Zeppelin, on which 'The Song Remains The Same' is the opening track. Jimmy Page & Robert Plant, Led Zeppelin's lead singer, also featured in the 1994 countdown as Page And Plant, reaching #94 with their song 'Gallows Pole'. 'Gallows Pole' is an old folk song which was covered by Led Zeppelin in 1970 from their album Led Zeppelin III. The album from which Page And Plant's version of 'Gallows Pole' come from was titled 'No Quarter', which is the name of a Led Zeppelin song also featured on 'Houses Of The Holy'. Finally, "Rock drippin' from my every vowel, I've got the soul of the sixties like Ginsberg's 'Howl'." references American poet Allen Ginsberg and his famous poem 'Howl'. Ginsberg would later feature in the 1996 countdown, collaborating with Paul McCartney and Phillip Glass on the song 'The Ballad Of The Skeletons', which reached #8 that year. At #26, '7 Seconds' by Youssou N'Dour & Neneh Cherry charted. It's currently somewhat confusing to know how to list this song here. The song first appeared on Youssou N'Dour's 1994 album 'The Guide (Wommat)', where it is listed as a duet with Neneh Cherry. Some versions of the single refer to it as 'Youssou N'Dour & Neneh Cherry', while others say 'Youssou N'Dour With Neneh Cherry'. In 1996, it was re-released on Cherry's album 'Man', where it is listed as 'featuring' Youssou N'Dour. Due to this, I have listed this song under both artists so as to give them equal credit. At #42, the song 'Absolutely Fabulous' charted by an artist of the same name. The artist name of Absolutely Fabulous is actually a pseudonym for the Pet Shop Boys who had featured twice in 1993 and twice in the 101-200 region for the 1991 All Time countdown. The song is based on, and features sampled dialogue from, the BBC comedy 'Absolutely Fabulous' and was released as a single for the Comic Relief foundation. Incidentally, the track also features some lyrics from the Black Box song 'Ride On Time', which had charted at #24 in the 1990 All Time countdown. At #62, Pale featured with their song 'Lemon Sparked' (which has been confusingly referred to as 'Lemon Spark' by various Hottest 100 sources over the years). In a 2011 online music editorial for The Music Network which focused on the voting process of the Hottest 100, it was said that Pale once remarked to a Brisbane street press publication that they had managed to manipulate the voting process in order to get their song to the #62 position. It is not said how this was done, but the article strongly implies that the band enlisted family and friends to vote multiple times on their behalf. When asked by the editor of this website in 2014, a spokesperson for the band said that "...like most things, the truth is in the hands of whoever is telling the story and perhaps somewhere in between. The song "Lemon Sparked" did have a lot of airplay that year plus an appearance by the band on 'Live at the Wireless'. 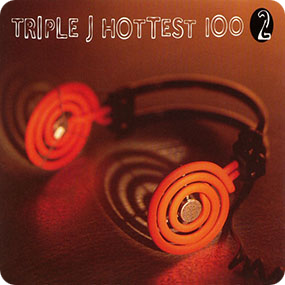 The song was subsequently assigned a voting pin number by Triple J along with a couple of hundred other songs from Triple J's playlist for 1994. People could vote for the song by ringing in and dialling the pin number and there was no limit to how many times you could vote. Friends of the band were voting multiple times and so it kind of grew from there. But no-one really expected it to make it into the top 100, let alone number 62." Soundgarden were the best performing band of the countdown, achieving 4 entries, their highest reaching #22. Couting Crows also performed well, reaching 3 positions, their highest being #47. 12 other artists managed to achieve 2 entries. The 1994 Hottest 100 featured artists from 13 countries, a current record, including 49 from the USA, 26 from Australia and 13 from England. The best performing country for the countdown was the United States who achieved 49 placings, which is their best effort to date. Sweden achieved their best effort with 3 tracks reaching the list. Benin featured in the countdown for the first time, managing 1 track, which ties with the 1996 countdown as the record. Denmark managed the same feat and also managed to do the same thing once more in 2003. Senegal, however, managed 1 track and has not featured in a Hottest 100 since. '7 Seconds', at #26, was a collaboration between Youssou N'Dour & Neneh Cherry, who are from Senegal & Sweden, respectively. However, the track is counted as a Senegalese entry for simplicity.